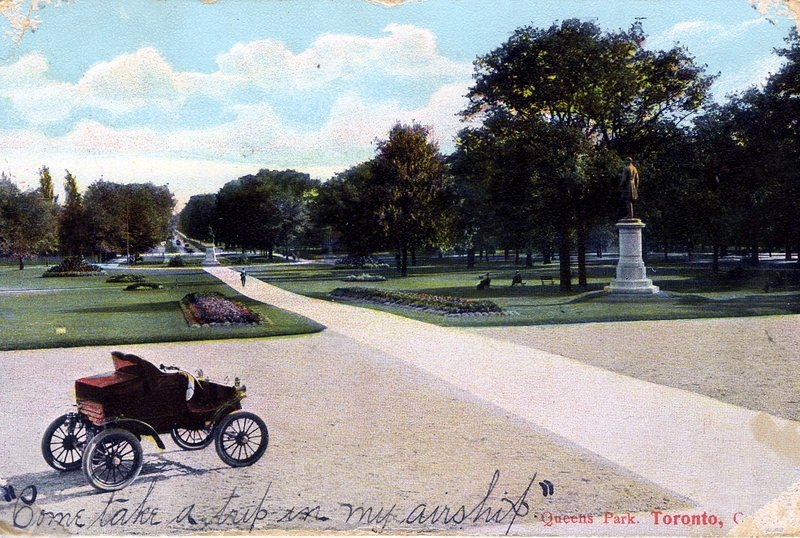 The world’s first postcard was mailed in Vienna, Austria, on October 1, 1869. 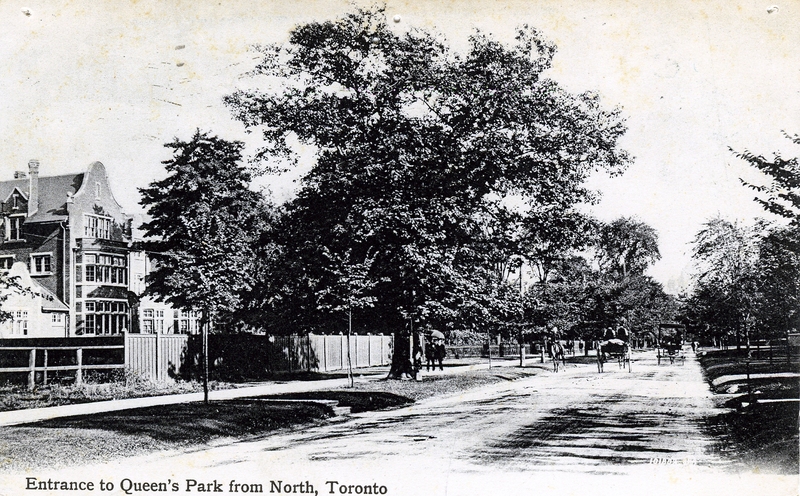 Just two years later, Canada became the first country in North America to use them, and they were were quickly adopted as an easy and rapid form of communication. 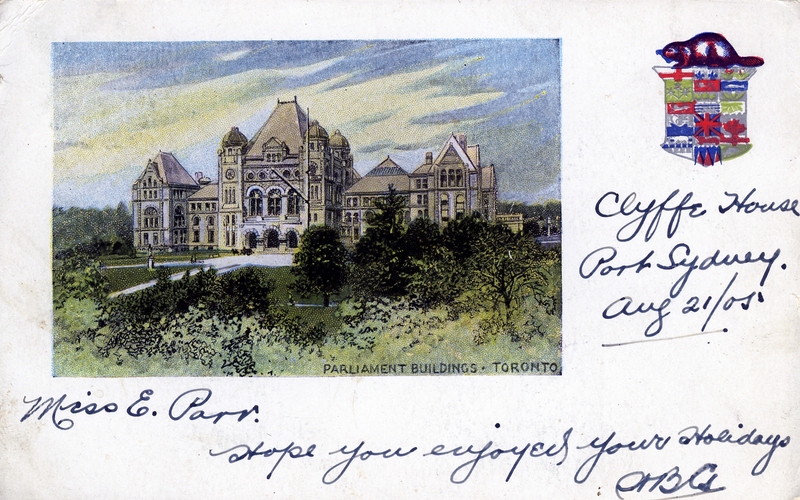 There are countless postcards depicting the Legislative Building and surrounding areas, which allow us to see changes to the buildings and grounds throughout the 20th century. 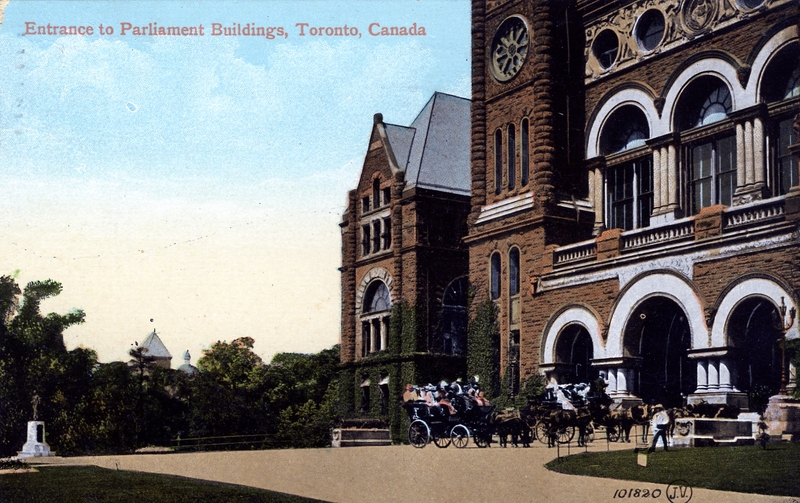 Look for the differences in the Legislative Building and how Queen’s Park and the Toronto skyline have changed over time. 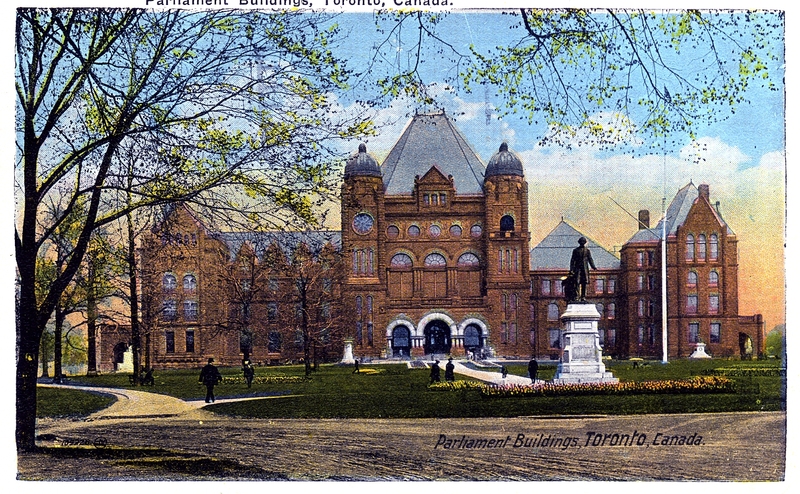 Legislative Building, viewed looking north, prior to the fire of 1909. 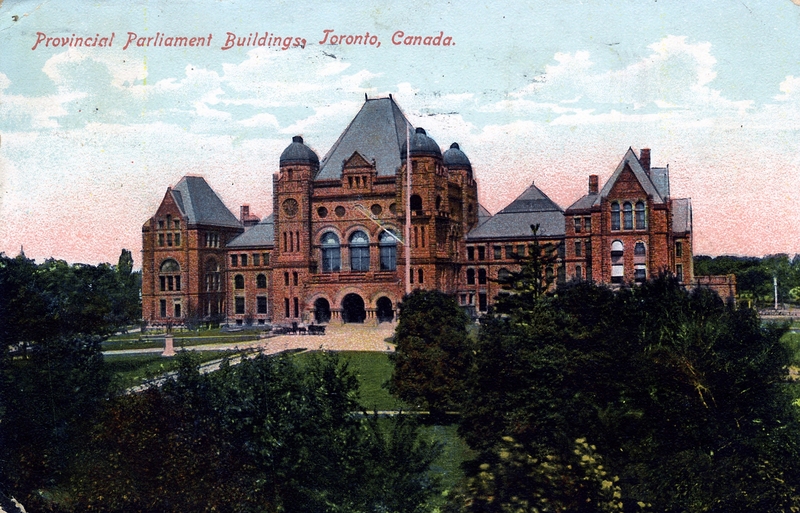 Legislative Building, viewed looking north-west. 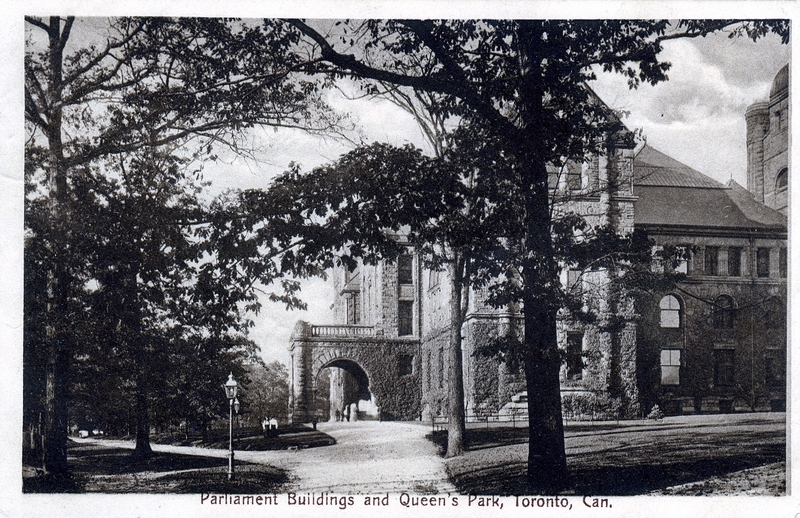 South entrance of the Legislative Building. West entrance of the Legislative Building. 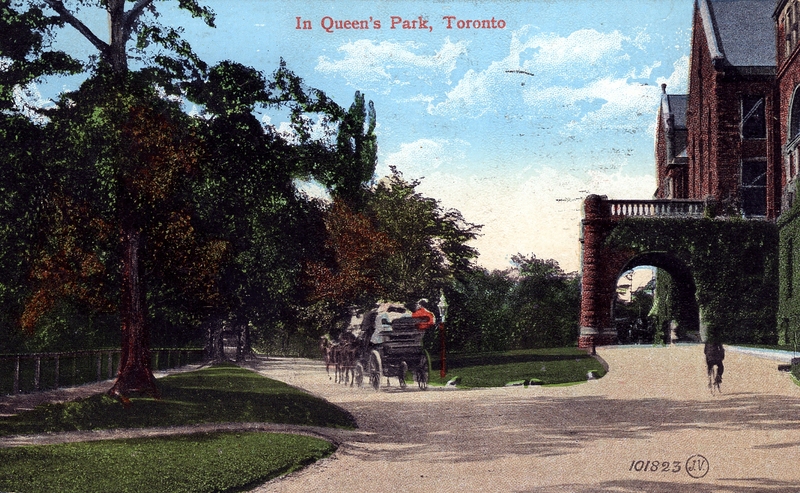 North entrance of Queen’s Park. 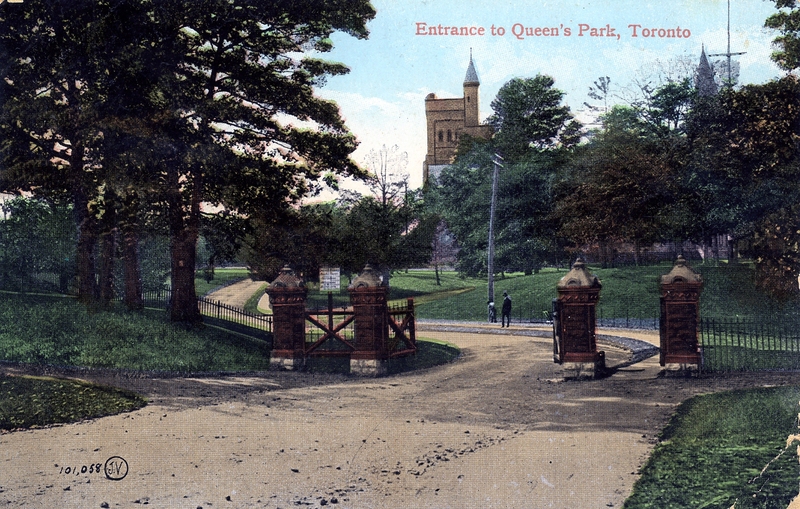 Entrance to Queen’s Park, looking north. 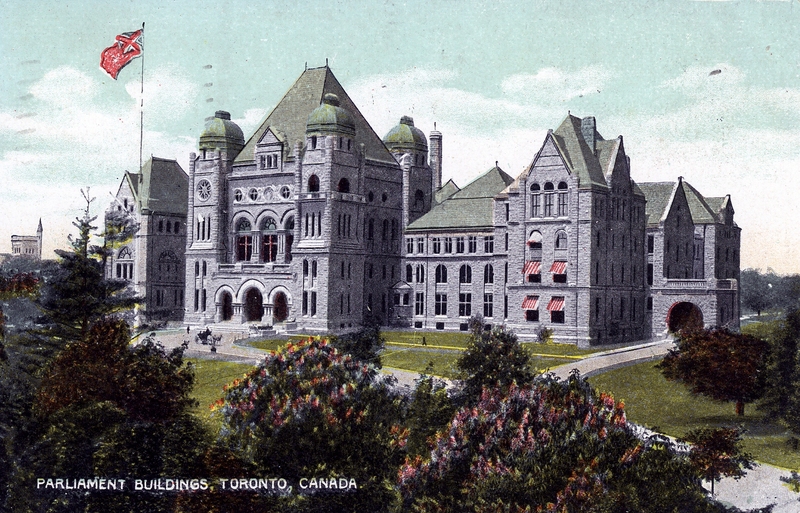 Legislative Building, viewed looking north, after the fire of 1909 renovations. 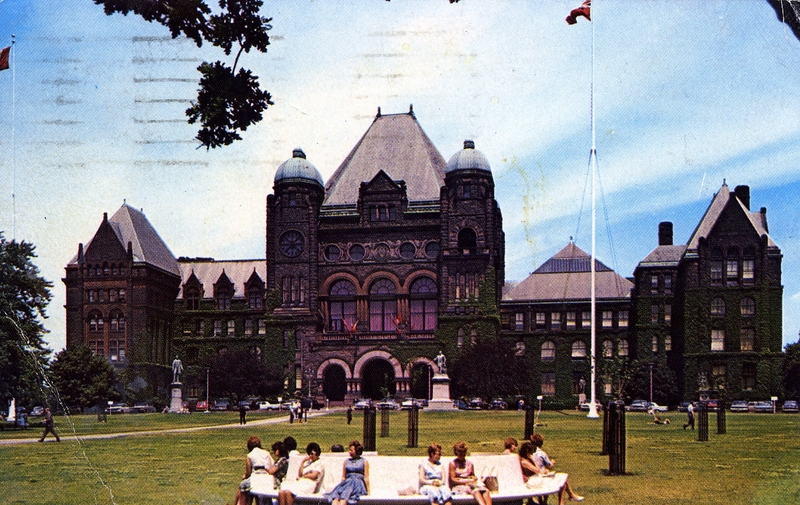 Legislative grounds, viewed looking south. 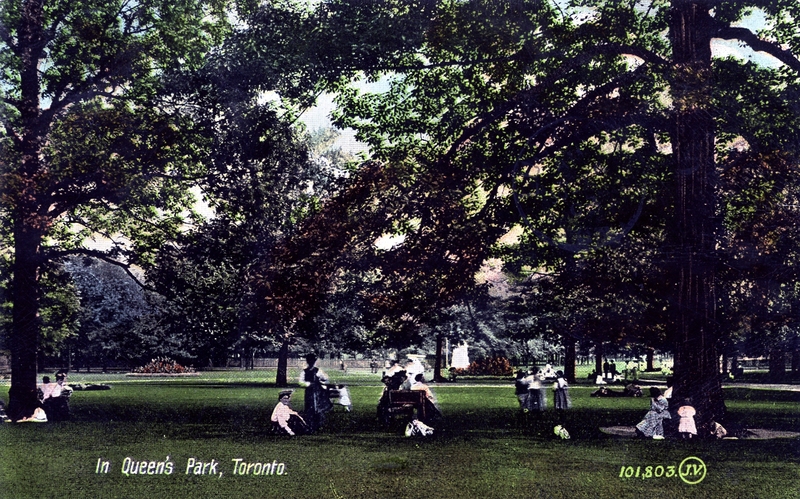 Members of the public enjoy the grounds of Queen’s Park. 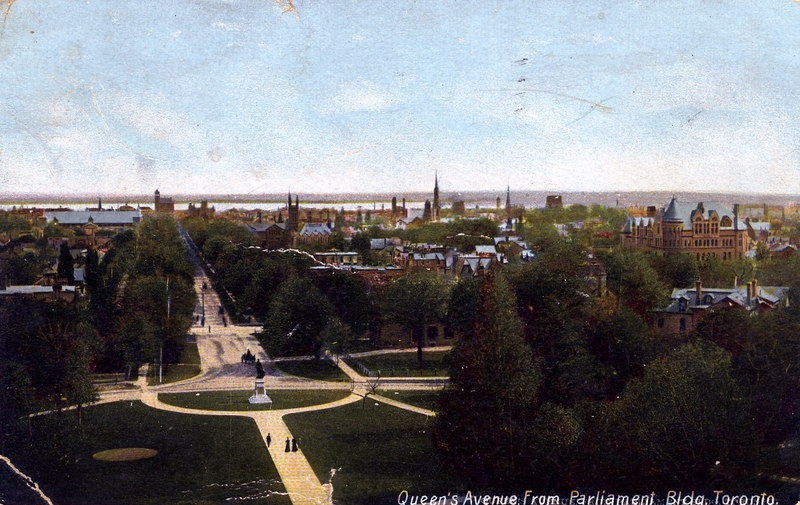 Aerial view of Toronto looking south from the Legislative Building, c. 1905.